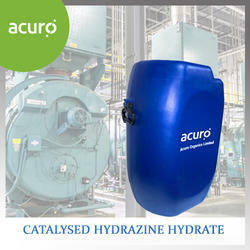 We also offer Catalysed Hydrazine Hydrate for improved oxygen scavenging for Boiler water treatment use. 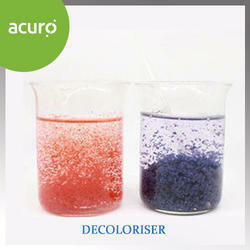 Decolor CA218 is a colour removal chemical, which removes colour of waste water generated by textiles process houses and dyes industries. It is high molecular weight polymeric coagulant. The coloured effluents, generated by the industries, when left untreated, play havoc with reusable water resources. For process houses, in water scarce areas, it comes as a heaven-sent facilitating recycling of the industrial effluent into process water. Decolor ca218 is effective cationic high charge density polyamine effective at wide ph range. EM is the abbreviation for Effective Micro-Organisms. EM is a combination of useful regenerated micro-organisms that exist freely in nature and are not manipulated in any way.This mixture increases the natural resistance of soil, plants, water, humans, and animals.EM considerably improves the quality and fertility of soil as well as the growth and quality of crops. In personal bodily hygiene and for the prevention and treatment of health problems. EM consists of many different kinds of effective, disease-suppressing micro-organisms. 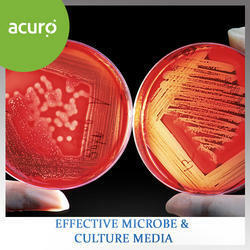 Each of these effective micro-organisms has a specific task. In addition, these micro-organisms enhance each otherâ€™s working. This means that synergy occurs! Lactic acid bacteria: these bacteria are differentiated by their powerful sterilising properties. 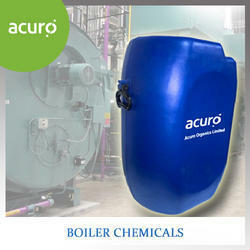 They suppress harmful micro-organisms and encourage quick breakdown of organic substances. In addition, they can suppress the reproduction of Fusarium, a harmful fungus. Yeasts: these manufacture anti-microbial and useful substances for plant growth. Their metabolites are food for other bacteria such as the lactic acid and actinomycete groups. Actinomycetes: these suppress harmful fungi and bacteria and can live together with photosynthetic bacteria. Photosynthetic bacteria: these bacteria play the leading role in the activity of EM. They synthesize useful substances from secretions of roots, organic matter and/or harmful gases (e.g. hydrogen sulphide) by using sunlight and the heat of soil as sources of energy. They contribute to a better use of sunlight or, in other words, better photosynthesis. The metabolites developed by these micro-organisms are directly absorbed into plants. In addition, these bacteria increase the number of other bacteria and act as nitrogen binders. Fungi that bring about fermentation these break down the organic substances quickly. This suppresses smell and prevents damage that could be caused by harmful insects. EM is not, is harmful, pathogenic, genetically-engineered/modified (GMO), nor chemically-synthesized. Neither is EM a drug or fertilizer. 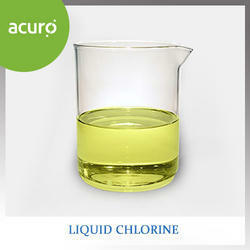 Liquid chlorine is a heavy, toxic, greenish yellow liquid under pressure having pungent and suffocating odour. Our domain expertise has enabled us to come with Liquid Chlorine. These products formulated at our advanced manufacturing unit using excellent quality ingredients sourced from trusted vendors of the market. The offered chlorine is appreciated in the market for its features like accurate composition, purity and longer shelf life. 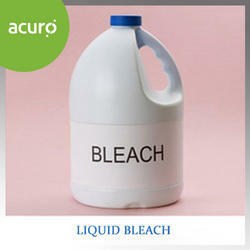 Sodium hypochlorite solution, commonly known as bleach or liquid bleach, is frequently used as a disinfectant or a bleaching agent. Sodium hypochlorite has been used for the disinfection of drinking water or water systems.Sodium hypochlorite is commonly used as a biocide in industrial applications to control slime and bacteria formation in water systems used at power plants, pulp and paper mills, etc. in solutions typically of 10%-15% by weight.It is finding applications in varied segments owing to their antiseptic and disinfecting properties. In domestic activities it is used for removing stains from fabrics and it is also used for water purification. As a disinfectant agent, it finds application in effluent and waste-water treatment plants. 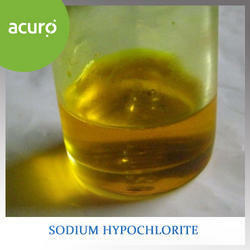 Calcium hypochlorite is widely used for water treatment and as a bleaching agent (bleaching powder). This chemical is considered to be relatively stable and has greater available chlorine than sodium hypochlorite (liquid bleach).Calcium hypochlorite is a yellow white solid which has a strong smell of chlorine. It is not highly soluble in water, and is more preferably used in soft to medium-hard water. It has two forms: a dry form and a hydrated form. 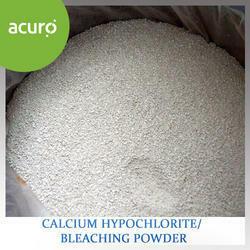 Calcium hypochlorite is also an ingredient in bleaching powder, used for bleaching cotton and linen. It is also used in bathroom cleaners, household disinfectant sprays, moss and algae removers, and weedkillers.In addition, calcium hypochlorite . Looking for ETP Chemicals ?